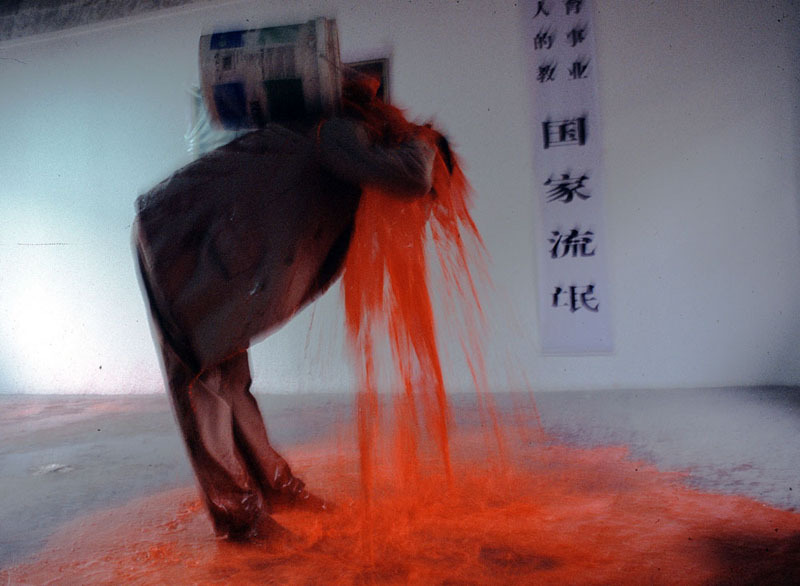 Performance art in China, also known as Xingwei Yishu, has been growing since the 1970s as a response to the very traditional and controlled nature of Chinese state-run art schools. 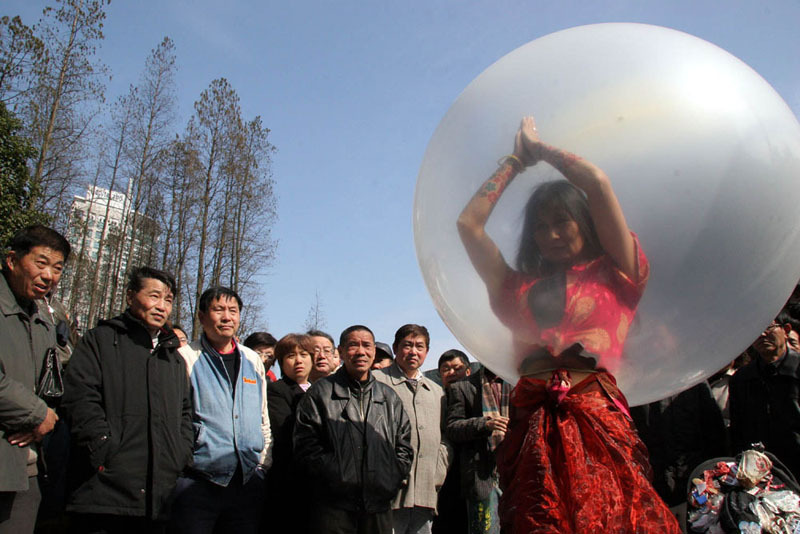 It has become more and more popular over the years in spite of the fact that it is currently outlawed or occasionally tolerated by chinese authorities. 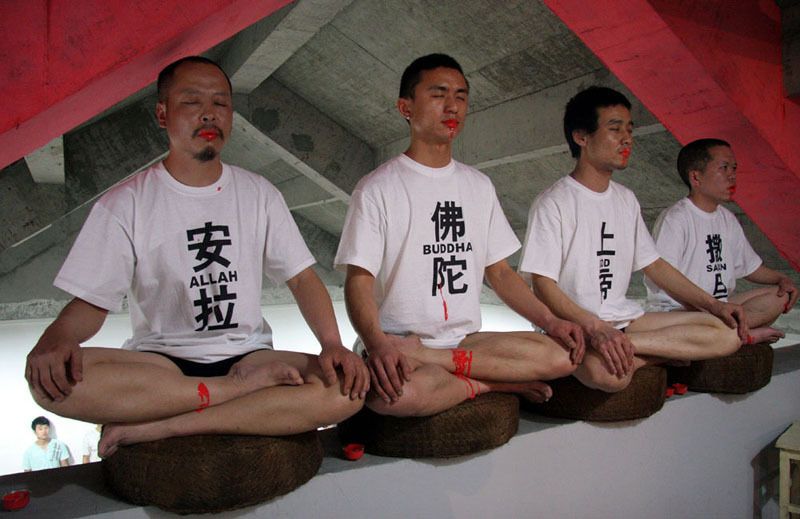 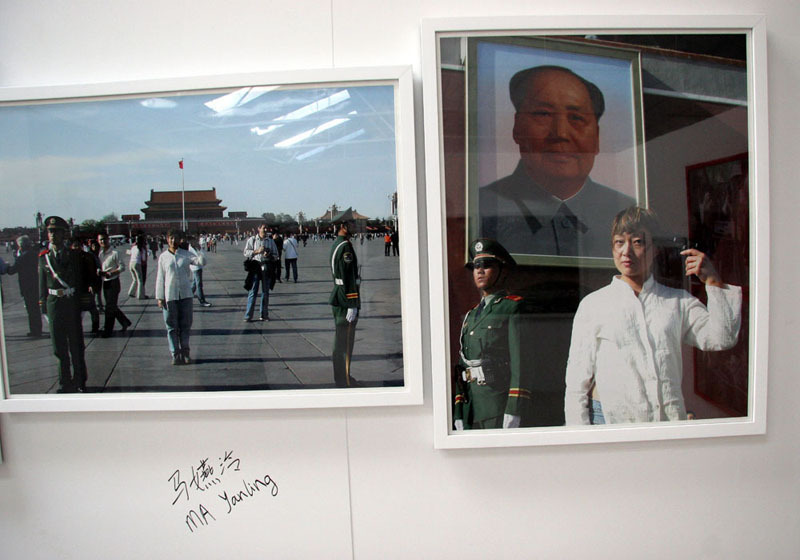 It is probably the only true free public space of expression in chinese art at the moment as most artists like painters, writers, movie directors and so on are either victims of government censorship or have to self-censor themselves in order to be able to continue to practice and sell their art in China. 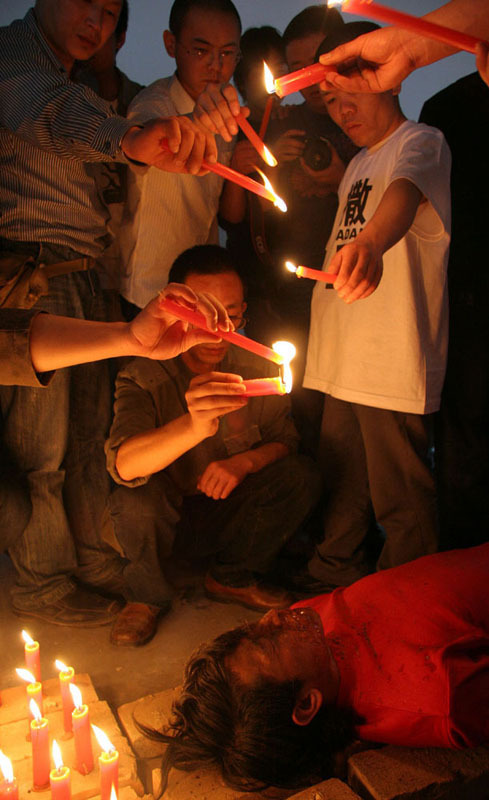 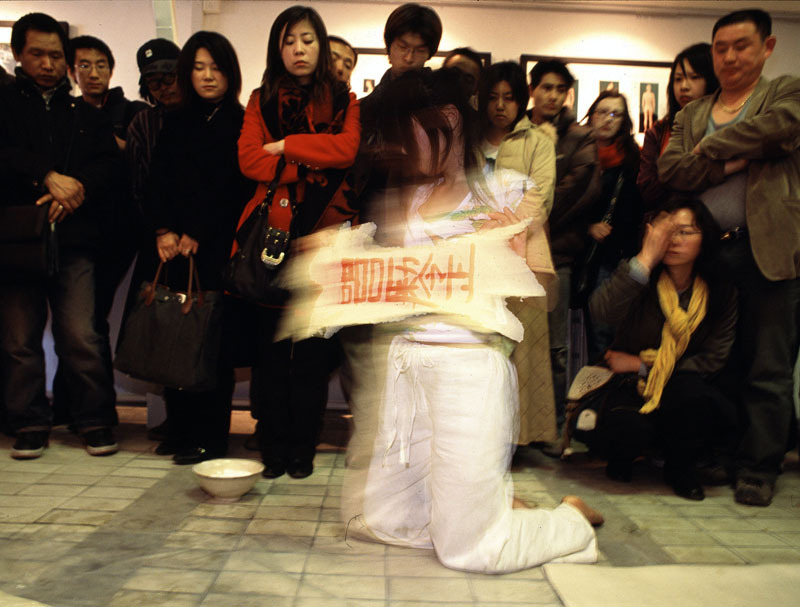 Performance artists on the Mainland are however fewer and fewer as it is difficult for them to make a living and are often subjected to harassment by chinese authorities if they decide to perform in public spaces.